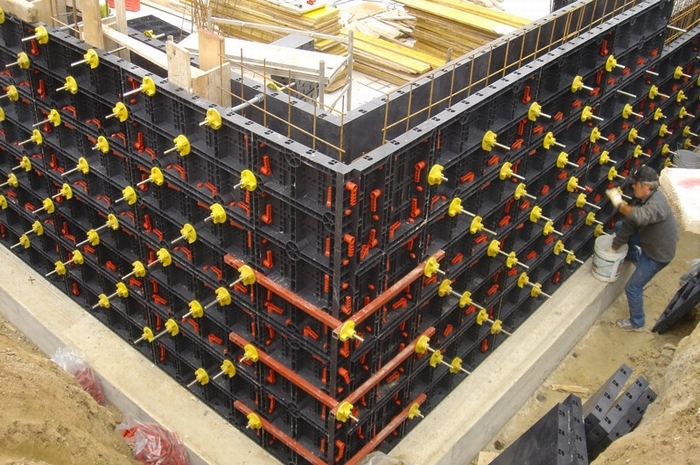 GEOPANEL® is an intuitive modular plastic formwork system used for building concrete walls, basements, foundations as well as round and square columns. Compared to traditional timber and steel panels, GEOPANEL® is lighter and easier to assemble. The panels are available in various sizes and are fastened together with fast-lock nylon handles. 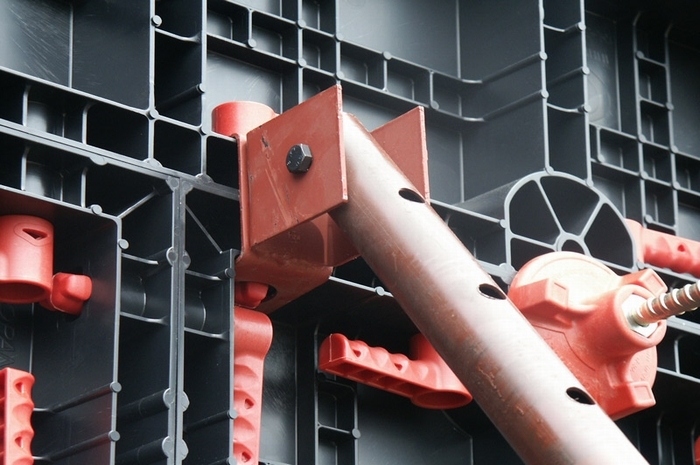 Each GEOPANEL® weighs just 11 kg, and the system can be erected by a single person. 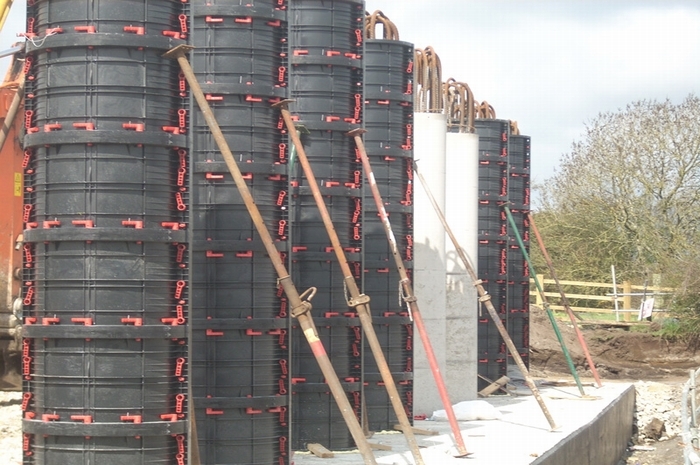 GEOPANEL® does not require any releasing agents or additional special treatment during assembly or pouring. The outer side of the panels are ribbed to make posting and plumbing easiser. The panels have holes to fit standard off-the-shelf tie rods. GEOPANEL® can be completely disassembled. 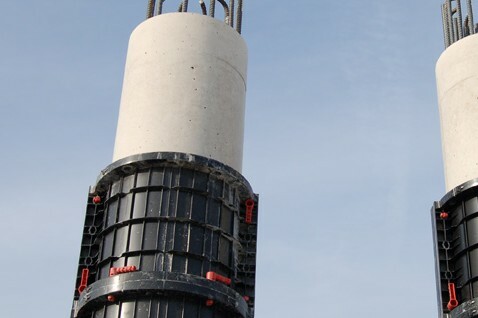 All elements are a standard 60 cm high and are 20, 25, 30, 40 or 120 cm long, without any need for cutting to length, due to the modularity of the system. Storage in a dry environment is recommended but not essential. GEOPANEL® requires very little maintenance compared to traditional panelling systems, thus making it a cost effective alternative. 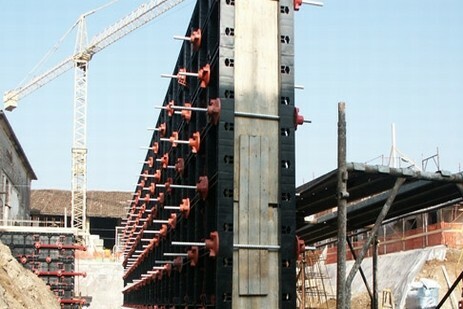 The panels can be used up to 100 times with correct treatment.